It’s cold outside and snow has softly blanketed everything. We’ve been enduring subzero temperatures for over a week now. Although the temperatures are due to increase, the precipitation is supposed to continue. This means rain on top of melting snow and on frozen grounds. This is what happened to Ye Olde Timey Towne of the MidWest last February. We had a major flash flood. Will we have another next week? I’m thinking it is likely. Apparently, I’m not alone in this thinking. Those who have the misfortune of living alongside the river of our tiny town have already put up sandbags. It wouldn’t be so bad if the river was not basically the dumping ground for all the Northern Counties’ rivers. So we will not only have our own melting snow and rain to deal with, but that of all of the Northern State as well. I’m thinking we should have invested in that canoe afterall.. I love storms. 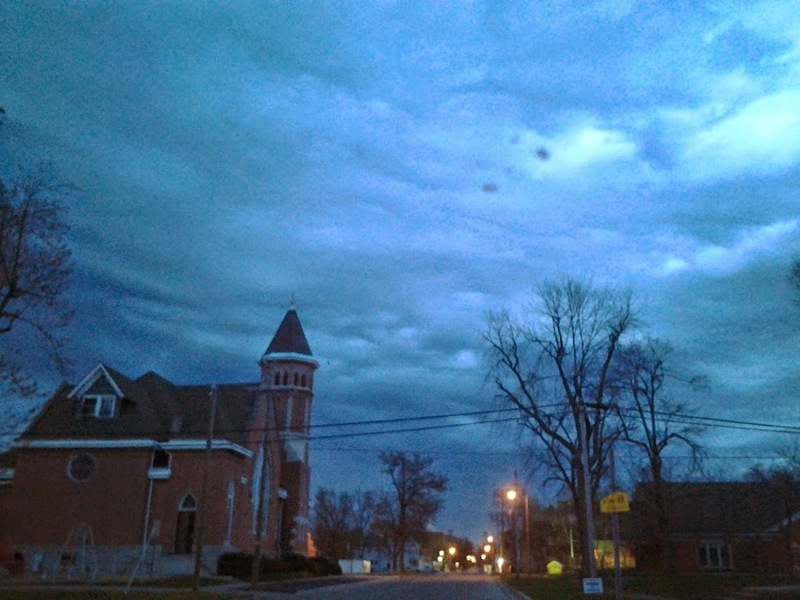 Rain, wind, hail, black skies… tornadoes, tropical storms, hurricanes. I love it all. I grew up in an area termed “Tornado Alley”. We would have at least one tornado every summer. I remember seeing them from a very early age as if it were nothing. It probably didn’t help that my father was an avid stormchaser and would take my brother and I on such chases. Don’t worry, it was safe.. I was buckled into my carseat. Seriously though, he wouldn’t take us along on storms that got bad, he would take us home first. At any rate, I am used to seeing inclement weather. Living in Tornado Alley as well as living in Florida for a short time has allowed me to experience such meteorological occurrences as tornadoes, large hail, damaging “straight” winds, severe electrical storms, tropical storms, and even hurricanes. Oh my, hurricanes. I lived in Florida for two years before wising up and realizing that the hurricane season, flood season, fire season, etc… just didn’t make up for the view. My family and I were in Florida for the whole Hurricane Charley, Irene, Jean fiasco. I think we had 4 hurricanes in 6 to 8 weeks. At one point, we stopped unpacking the car because we would just have to turn around and pack it back up again. I complain about cold showers now but it was the only way to cool off in the blistering heat when the storm left all power out. The funny things about hurricanes is that they spawn tornadoes. Why is this funny? Florida is swamp land and sand. There is nothing to build a basement in. Where do you go when the tornado sirens sound? 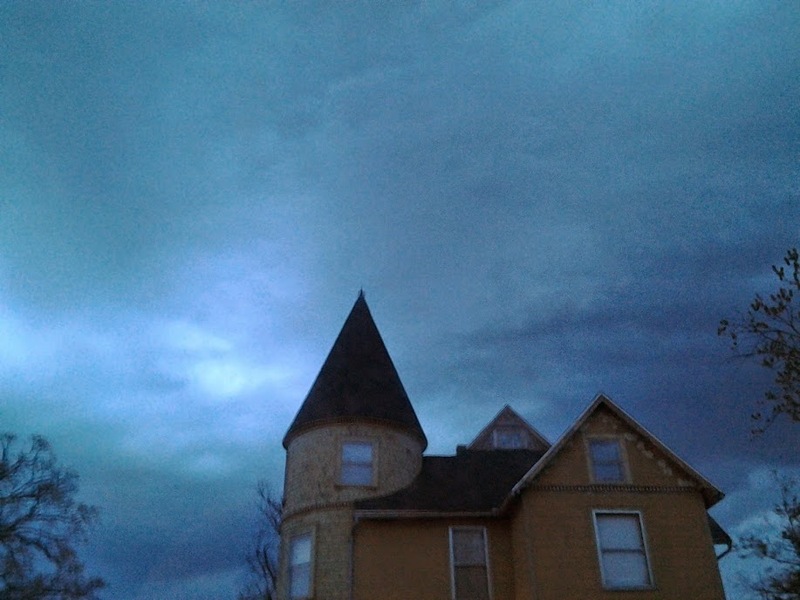 On your front porch, getting to know your neighbors better as you all watch the darkening skies. The best part about the hurricane experience was being packed into a storm shelter with hundreds of strangers, returning on a prayer that your home was alright, and dealing with the leftover weather. One time, we were sent home prematurely in the eye of the hurricane. The tail end of the storm is the worst part of it. I remember how the house shook and rocked back and forth all night long. My poor mother nearly had a heart attack for worrying but I made a better choice. I went to sleep. I survived so it must have worked out ok. Another hurricane and we found out that we had contracted scabies from one of the lovely families sharing the shelter with us. Ugh *shudder*. I can’t stand those things. The best part of storms? The sky. It becomes a canvas. It turns from mellow blue, to violent black, and then to warning sign lime green. The colors! I could stand to make a living chasing storms.. I just don’t think I’d like being packed like sardines for the rest of my life. For more info about the various types of Tornado Alleys, check out Weather Commentary. Alas, the oppressive heat has broken like a nasty fever. The air isn’t quite as thick with moisture and it feels so decently “warm” (as opposed to stifling hot) that I washed the car today.. by hand.. outside. Awesome. Not so awesome: No rain. The storms happened just a hair south of us – shocker. I can’t look this gift horse in the mouth though: I’ll take a break in the heat and keep hoping for a break in the drought too. No storms means no more updated pics, right? Wrong! I know you must be soo excited. While driving out to the in-laws, my hubby and I noticed this semi that got overturned by the storms. The parking lot is owned by a furniture store which keeps these semi trailers in their lot and uses them to store extra stuff. Apparently, this one was empty or didn’t have a whole lot in it. As if a semi trailer being knocked over wasn’t delightful enough ,it took one of the light posts with it. I’m glad that no one was in the semi or around it when it fell over. 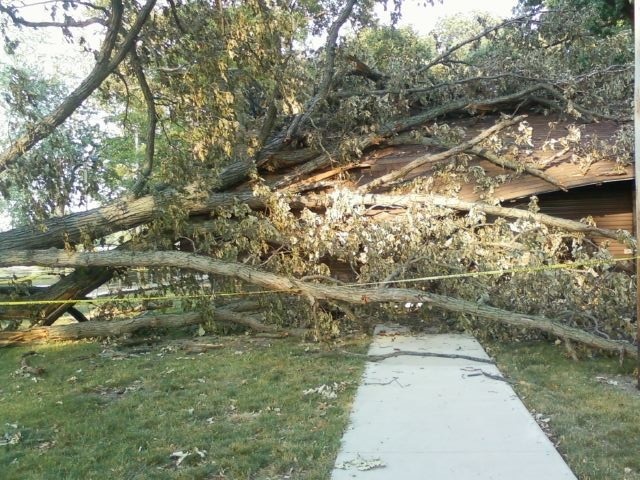 I’m also glad I found more cool pictures of the damage from the storm! Storms are just awesome. The heat wave in the MidWest continues. Today, the actual temperature reached 100 with a heat index of 104 in my area. I know I shouldn’t complain because we are not experiencing flooding, wild fires, etc. A little drought should be alright as long as we get some rain soon.. and, fortunately for us, the Weather Man says that rain is on the way. 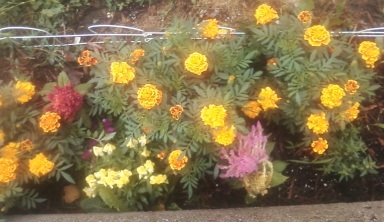 SO, before the new storms arrive I thought I’d tie up the loose ends from the old storms. Here’s the updated information from the latest severe weather to hit this area. It’s always the trees. Even when it’s roof damage, it’s usually wind or trees. 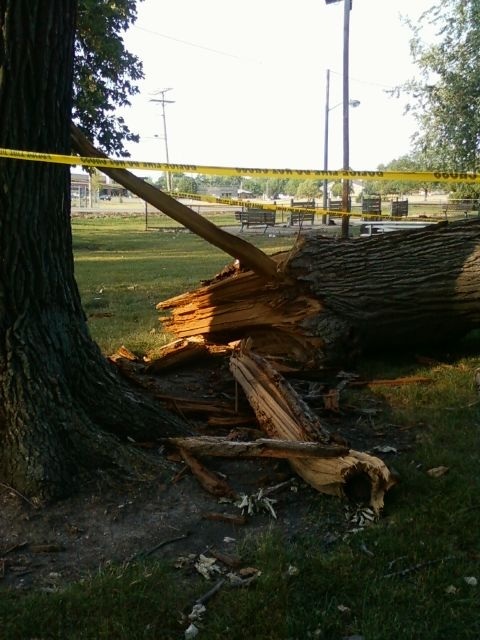 One of the many local parks experienced this with our latest storm last weekend. 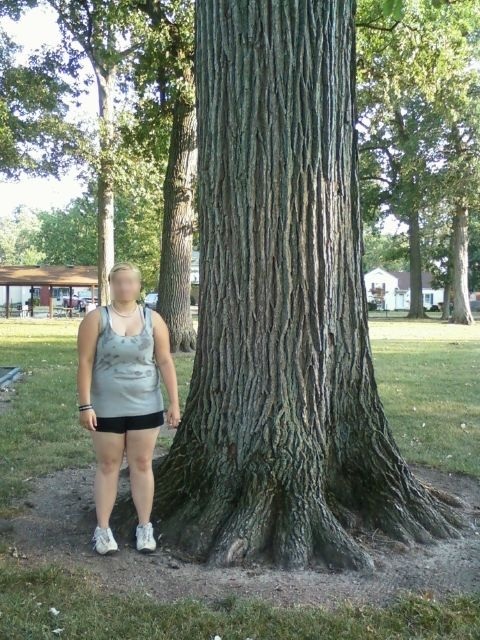 This park is filled with very old, large trees that happen to also be very tall. This is awesome because it makes this the ideal park to play at and celebrate family reunions, birthdays, and other special occasions. Even in this record heat, the large trees at the park keep it much cooler and the kiddos sure enjoy playing there! 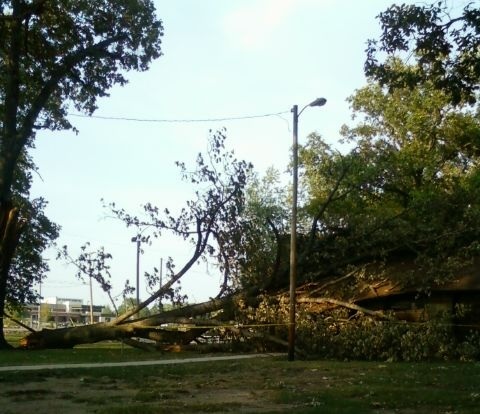 Unfortunately, the main out-building that is used for picnicking, grilling, and that houses the restrooms was destroyed when one of these trees fell on the roof. Of course I have pictures! They have the entire out-building and fallen tree sectioned off with scene-of-the-crime tape. It is kind of fitting. I can’t imagine the sound this tree must have made when it fell. Oh yes, if no one was around to hear it I am sure it still made a horrendous sound. This is a poor angle, I apologize. This is, however, what is left of the standing tree. As you can see (maybe) the part that fell on the roof was a larger section of the tree. Some of the trees in this area choose to shoot off about midway up the trunk and so it looks like they are split in two. 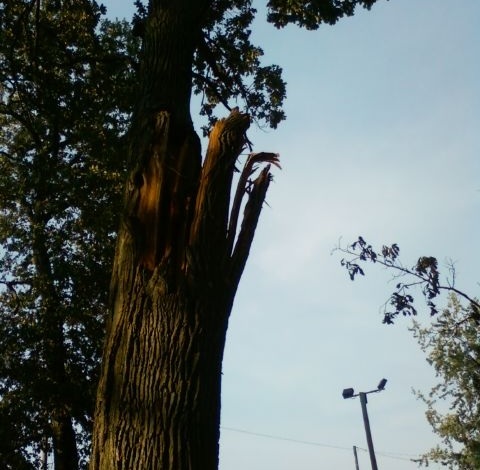 The wind or lightning simply took down one of these splits – taking down about half the tree. The entire building has been decimated. I think the city is leaving things the way they are until the heat wave ends. This isn’t super large for a tree by any means. 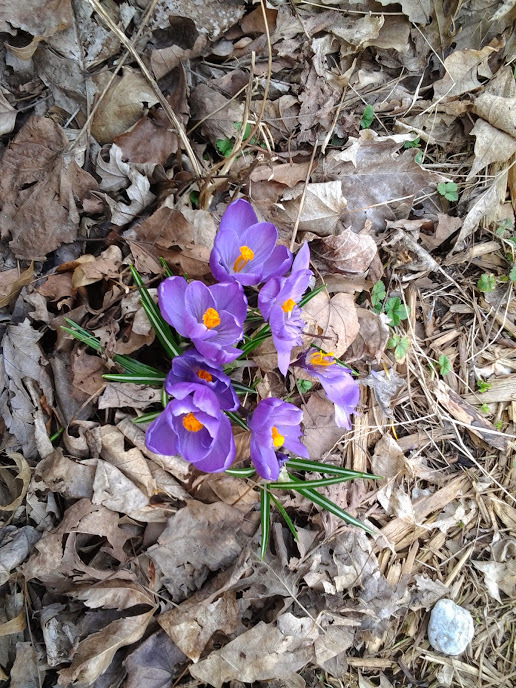 But in this part of the Midwest, we have stifling hot summers and freezing cold winters, so the tress don’t have a great deal of growth time. This is a larger tree for this park, but is not one of the larger ones in the park. There are well over 20 trees in this park, about an acre of land. Again, not really unusual throughout the US, but this is farmland. It is unusual to see an area like this here. The lady in the picture was a passerby in the park so I blurred her face so as not to offend her. Well, that is all for the trees in this area for now. If the storms DO hit tonight and are severe enough, I’m sure there will be more fallen tree pictures. Until then, adios!